My family can be traced back to the 1300s, living at that time in Somerset, England. They were a religious and industrious lot, with families of about 12 to 14 children. Restless and looking for a better life in the 1700s and 1800s the Sage family started to spread its wings. One named James Sage, had it forced upon him, he was working for the king in a bakery in London, and was ‘fitted up’ with a crime he may not have even done. He was sent to America, however this did not deter the brave soul. After London, his hatred for the English made him fight for another cause. He fought for Washington and was awarded for his valour. He married a younger bride and they moved to Elk Creek, Grayson County, Virginia. He bought a parcel of land for himself and his growing family. He had married Lovace who was born in 1749. His strong bride went on to live until her 99th year. They had 18 children. Their lives were marred by tragedy, when Caty their daughter was five years old she was abducted by a thief with a score to settle; James her father, had earlier found him horse stealing, and had him run out of town. Their beloved daughter vanished. Years passed, and although her father still had a strong belief she was alive they did not find her. They had searched and questioned people, then a breakthrough came, many years later, her brother visiting another town talked to a man who mentioned he had seen a woman who so resembled him. “Did you have a sister?” he asked, it was then established they would go to the Indian reservation and find the woman he had seen. Caty had been found. After some deliberation, as Caty knew no English, they discovered she had been the wife of three Indian chiefs, her only son had died. They discovered a birth mark on her shoulder and wrote to their mother to clarify if Caty had one. The letter came back with a resounding ‘Yes!’. The rather sad ending was as they began the longed for journey home to see her mother suddenly Caty became ill, caught pneumonia and died. Our Canadian clan also had many adventures. 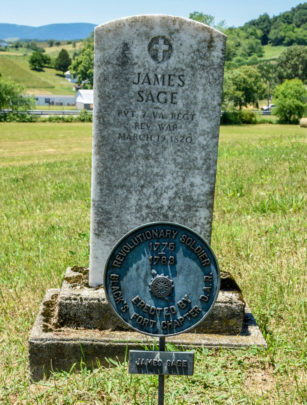 Leaving Somerset to make his fortune was Jesse Sage, the first to venture there. He took his new wife, Sarah, with him in the year 1838, and he had two sons. Unfortunately Sarah died and Jesse had her body put in a barrel of whiskey, sealed it, and sailed back to England to bury her in Somerset. He then married his wife’s cousin (who was related to Mary Queen of Scots) and returned to Canada. He had two daughters; his second wife was also named Sarah. Jesse was hard working and settled well in Ontario building homes in Brantford. They raised the finest cattle in the county and were very successful. In the end three brothers settled in Canada: Jesse, Walter and George. Walter was married twice and had five children from each marriage. George was married four times. George’s son John Bloomfield Sage was a school trustee. On December 21, 1880 with a £100 he had for a horse and £443, (school money) he rode into town. Unfortunately he got into a snooker game, drank too much and the money he had was noticed by his companions. John disappeared that day. His body was found some days later in the river. A dying man confessed to the murder. He said he got into a quarrel with John and killed him with a billiard cue. However, this was later denied by others, so we don’t really know what really happened, but it’s true the wild lapse into drinking and eating oysters at the bar, and playing snooker , was his downfall. I think we have a few in the family who inherited that trait. Not to me, but have seen similar behaviour! I think it is in the genes. However, I would like to think the adventurous spirit, and the wanderlust is something that has been passed down to me. For that I thank them. What do you know about your family history? Are there any stories like this?